Equilar | How Prevalent Are CFOs on Public Boards? A large part of corporate governance is ensuring that management and shareholders are kept abreast of the financial decisions of the company. Chief financial officers (CFOs) have responsibilities that include, but are not limited to, managing the finances of a company and working hand in hand with other branches of a company to achieve growth. As a result, CFOs are among the highest-compensated executive officers in the C-suite. Their compensation suggests that CFOs are highly-valued individuals meant to add value to a company through their financial acumen. For this same reason, CFOs can be a valuable resource as directors on company boards. Being part of a board requires a new set of responsibilities and commitments for a CFO, yet the opportunity also provides new learning possibilities, a chance to expand personal networks, and a unique perspective that complements traditional financial executive duties. Equilar conducted a study that examines how many CFOs serve on boards of companies in the Russell 3000. CFOs can provide a unique financial perspective of strategy to the boardroom due to the deep understanding of company finances that they develop over a career. For example, according to Russell Reynolds, roughly 41% of current CFOs had over 20 years at their respective company in a non-CFO role before being promoted to the role of chief of finance. As a result, this lengthy tenure could also be part of the appeal of having CFOs serve on boards. Essentially, once a CFO is established in management after a period of time, they are valued for their knowledge and ability to contribute to the long-term direction of the company. 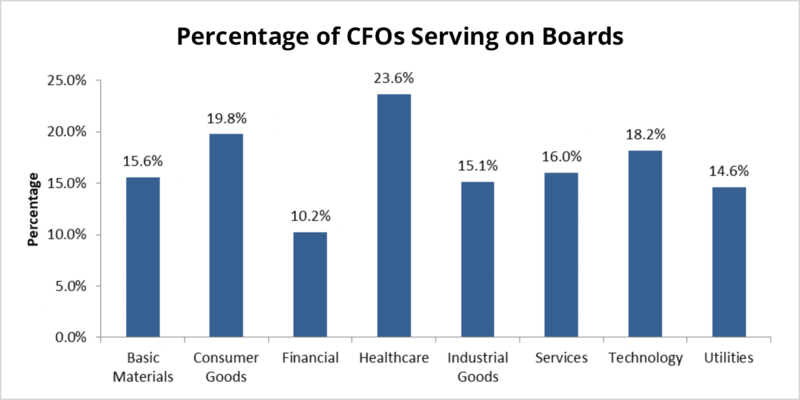 The number of CFOs serving on boards differs substantially depending on the sector. Almost one in four healthcare sector CFOs serve on a company board, while the sector with the second highest percentage, the consumer goods sector, is a distant second at 19.8% of chief financial officers on boards. On the flip side, it would be reasonable to expect that a CFO in the finance sector would be able to apply financial knowledge elsewhere, and thus would be a popular board member target. 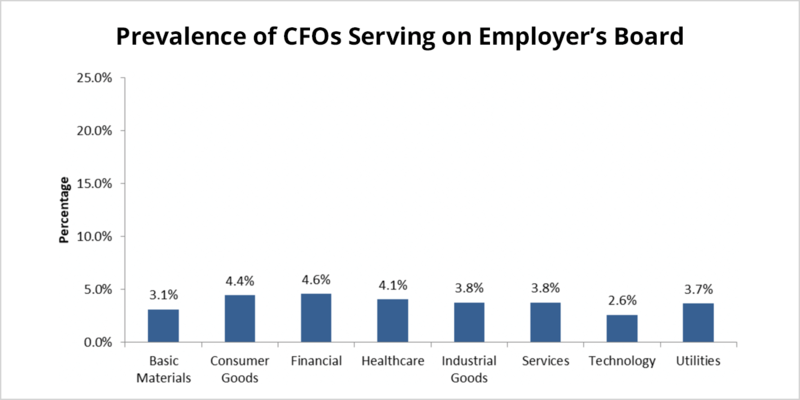 However, the financial sector had the lowest percentage of CFOs that serve on a board compared to all other sectors, at just 10.2%. The overall sector analysis tells one side of the story, but by looking at which companies have their own CFO on the board, we can see a different portrayal all together. For example, although financial sector companies are the least prevalent of all sectors to have CFOs on a board, the financial sector had the highest percentage of CFOs serving on their own company’s board, at 4.6%. At 4.4%, and similar to the total analysis of CFOs, the consumer goods sector had the second-highest prevalence of CFOs on their own boards. The least prevalent among all sectors is the technology sector at only 2.6% of CFOs. These findings reveal that a CFO’s presence on boards varies by sector. Healthcare companies have the most prevalent usage of their CFOs on boards, while financial companies are most likely to have their own CFO on the board. 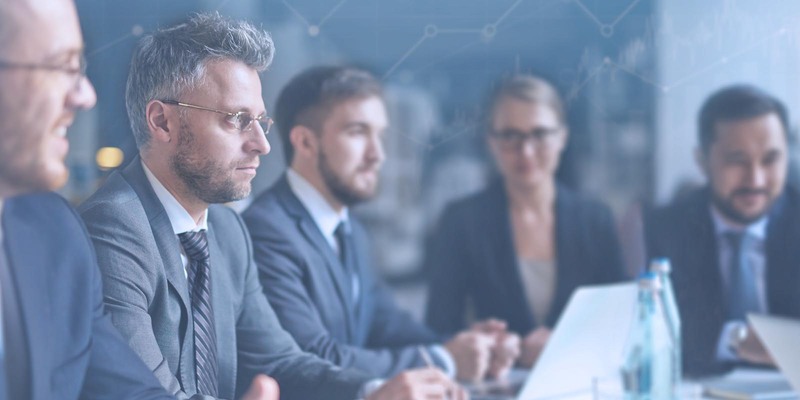 As the role of the CFO continues to evolve, it will be interesting to examine how CFO board recruitment changes, as well as how the prevalence of the position in a board setting fluctuates. 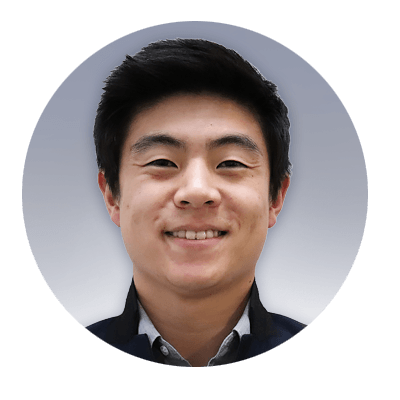 Spencer Kim, Senior Research Analyst at Equilar, authored this post. Please contact Amit Batish, Content Manager, at abatish@equilar.com for more information on Equilar research and data analysis.